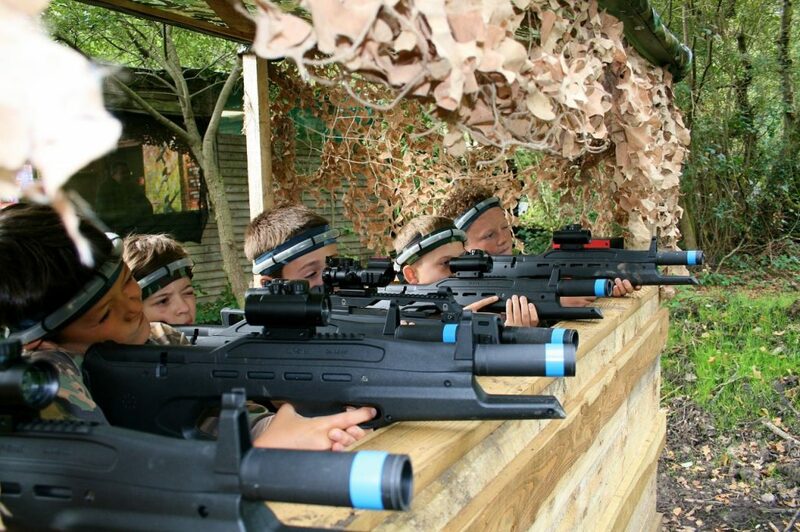 Our brand new state of the art Laser Tag gaming equipment, including the T22 Assault Rifle and the G36C Assault Rifle are the perfect weapons of choice for your birthday party or fun day out! Great fun & excitement for both boys & girls! 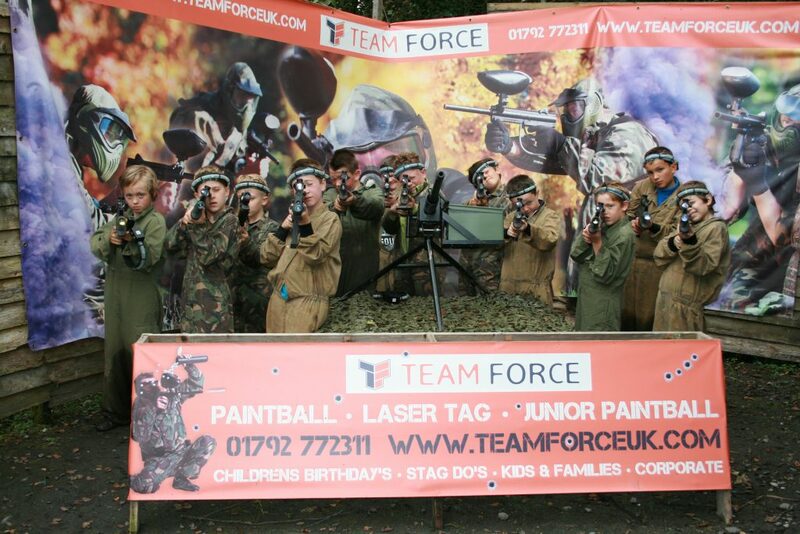 At Teamforce Activity Centre our Laser Tag guns actually use totally safe infra-red technology (just like a TV remote control), fired from the barrel of our state of the art Laser Guns. Players wear a headband with sensors, and on the top of the guns to register the infra-red beams, and detect a hit. Unlike paintball there is no projectile so you don’t actually get hit by anything. 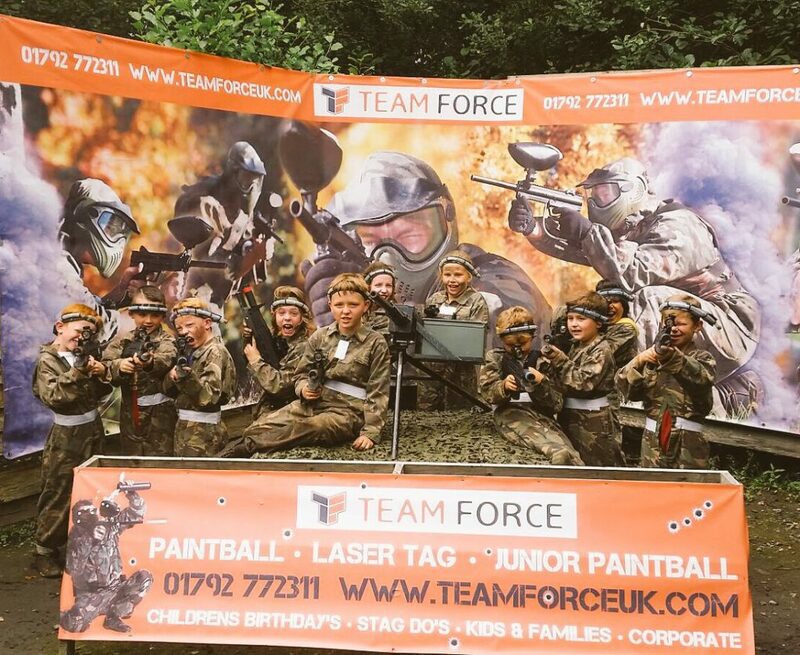 Teamforce Laser Tag gaming is totally safe and is great for schools, sports teams, children’s parties and business groups. 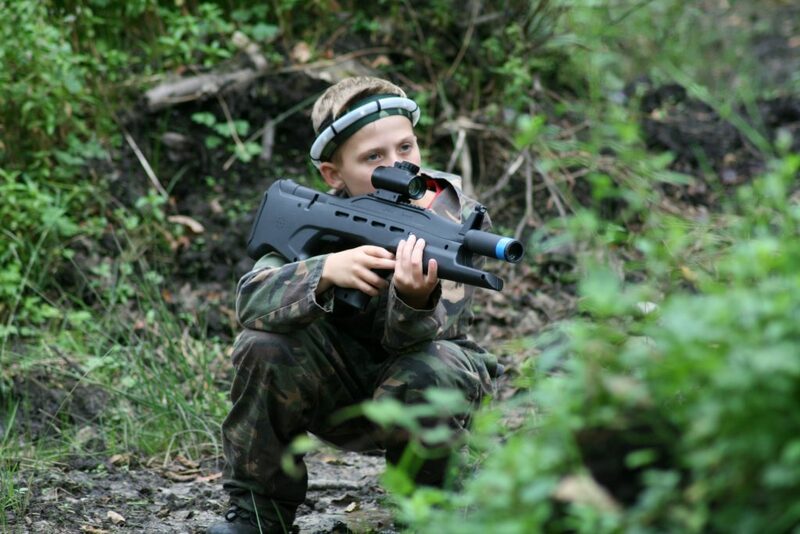 Players aged 8+ can come play Laser Tag, where they will receive our T22 assault rifle as standard or the G36C Assault Rifle for upgrades like birthday party’s. How does a game work? 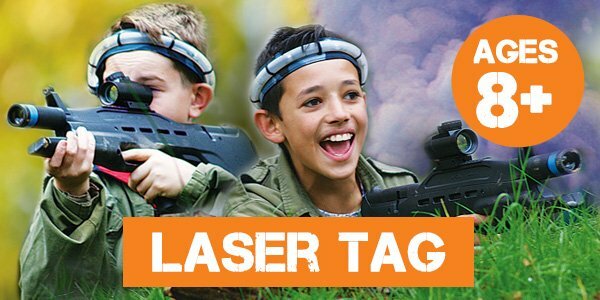 Our brand new Laser Tag game zone in our woodlands in Swansea, South Wales is great for getting into the action straight away and has been created by our staff to replicate Call of Duty type missions. 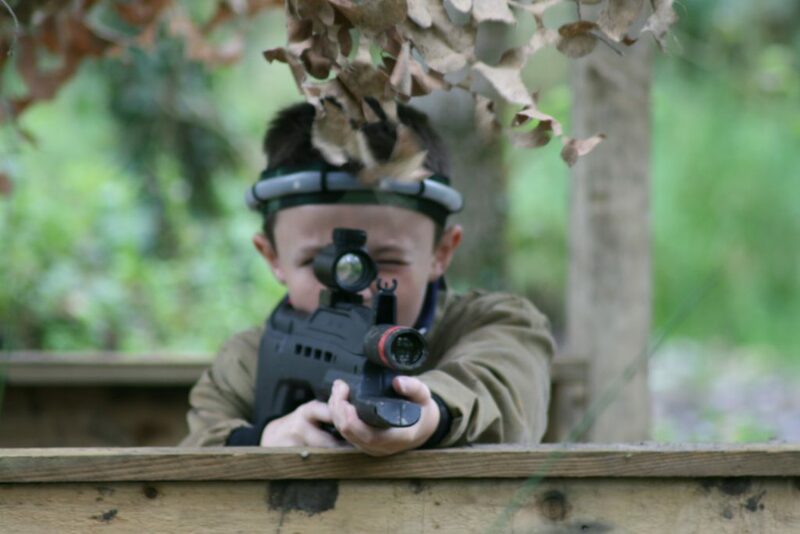 Laser Tag is safe and fully insured and there is no need to wear a mask, although some of our players do like wearing a range of Call of Duty type camo gear. 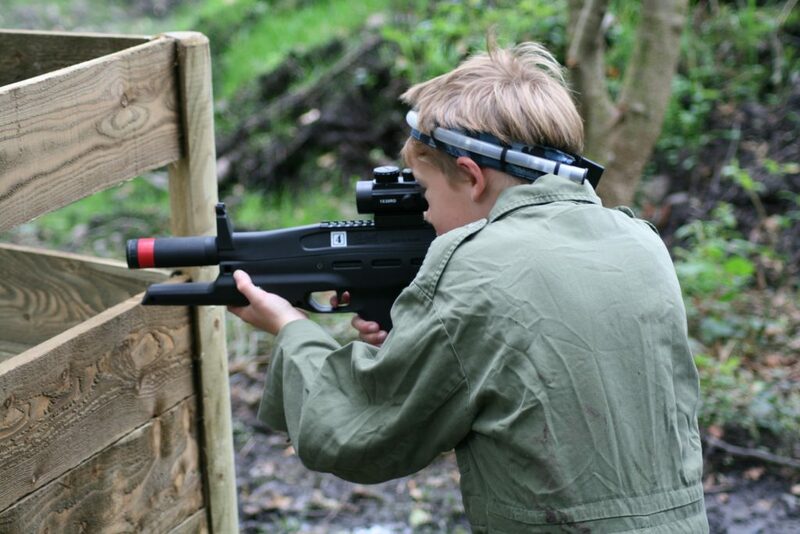 Each Laser Tag game will have a different mission or objective to complete and the players will be able to see their own individual score and the team score on the screens in the Command Bunker, where our staff, including Sergeant ‘Lem’ will be able to give them tactical hints and tips to get to the top of leader board. We recommend players wear boots or sturdy footwear as all games are played in natural woodland. In case of inclement weather a change of footwear and possibly clothing is advisable, as you don’t want mud in the car from muddy boots. 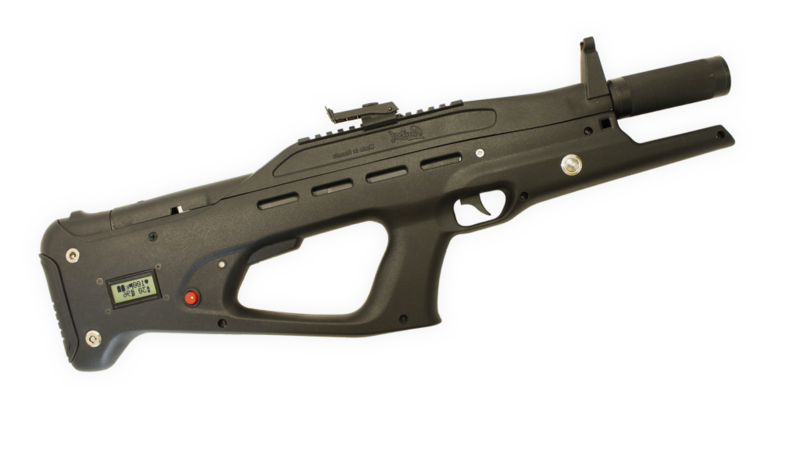 The T22 Assault Rifle is a state-of-the-art close combat & assault Laser Tag rifle. The T22 has great accuracy and can fire at enemy opposition up to 250 metres away. The T22 has a military feel & look which gives you that complete gaming experience when playing with friends and family. 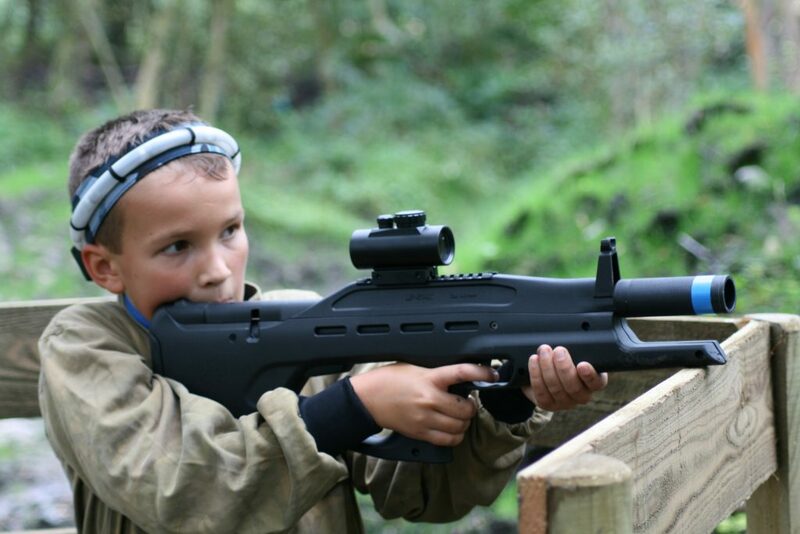 These guns are lightweight and suitable for player’s aged 8 and over which make them perfect weapons of choice if you’re looking to play Laser Tag in Swansea & South Wales. 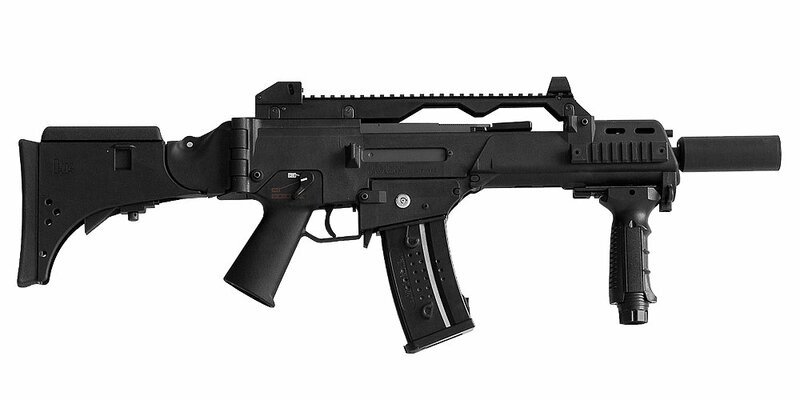 Our G36C Assault Rifle is the closest thing you can get to grabbing your favourite weapon straight out of Call of Duty! 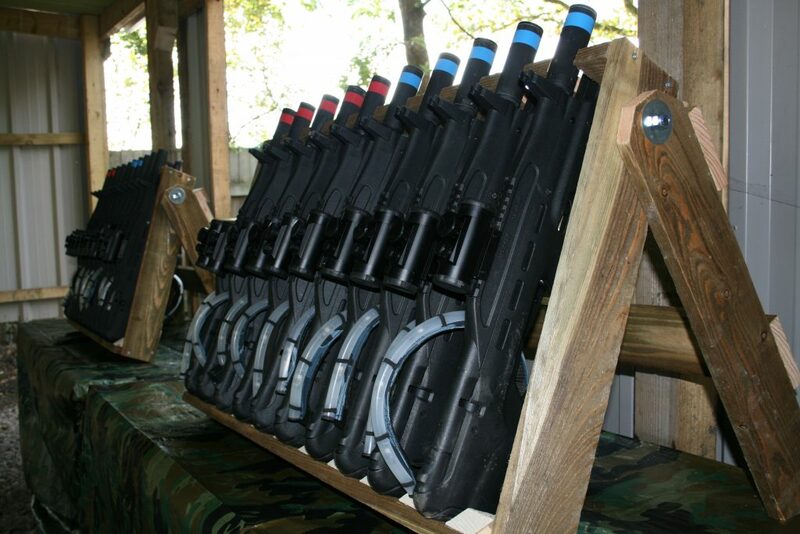 Armed with a front grip for added accuracy and stability, this is the ultimate upgrade for playing Laser Tag. The G36C at Teamforce Swansea will come fitted with a red dot scope for added realism to enable the player to get to the top of the leader board. With its lightweight frame, fore grips & red dot scope sights the G36C is the ultimate rifle to go from close combat action to long distance sniping in seconds! The G36C assault rifle is extremely popular with players so if you’re interested in upgrading then please let us know when you’re booking so you don’t miss out.